Pianist Lang Lang's new recording - Piano Book is a labor of love, meant to inspire in budding pianists the same focused and imaginative practice that lit up his own life with the joy of music – and it's WCRB: Boston - CD of the Week. 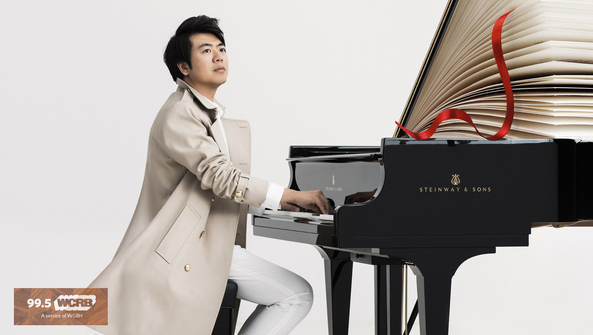 Lang Lang's new recording brings both careers into focus. He's come up with a 2-CD set of music that inspired him as a boy. These are the masterpieces that spark many young players: Debussy's Clair de lune (which Lang Lang savors with a spacious tempo); Chopin's "Raindrop" prelude; Für Elise by Beethoven; and Schumann's Wild Horseman. Along with these and many more, Lang Lang includes folk-inspired music from Sweden, China, and Korea. The recording's liner notes tell some touching stories about Lang Lang's personal history with many of these works. But the CD "Piano Book" is only half of the story. Along with the recording, pianists and students can buy the printed book – elaborately published and including Lang Lang's own interpretative suggestions, along with pages of photos. "I hope to inspire as well as motivate every piano student to remain focused during daily practice, and to play and understand these essential pieces for what they really are: true masterpieces!" In an interview, Lang Lang tells WCRB's Laura Carlo, "Now, the piano has really become a truly global instrument." It's safe to say that he has been a major force behind that phenomenon.